Greenwood's co-ed environment equips students with the confidence and experience they’ll need to interact and collaborate with all genders. We’re pleased that you want to learn more about Greenwood. Reviewing our website is an important first step, but it’s just the beginning. Talk to friends, visit the school, attend one or more of our many admissions events and ask lots of questions (you can find the answers to some of our frequently asked questions here). 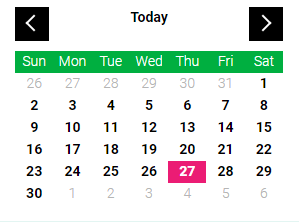 You can also check out our calendar of important dates to get an idea of the admissions timeline. We'll do everything we can to help you with this important decision so that you can find the school that is the right fit for your child. If you have any questions, please don’t hesitate to reach out to our Admissions Office at 416 545 5127 or admissions@greenwoodcollege.org. We look forward to meeting or speaking with you soon.